♥ Use the Text-to-Donate option. TEAMUP (no spaces) to 41444. 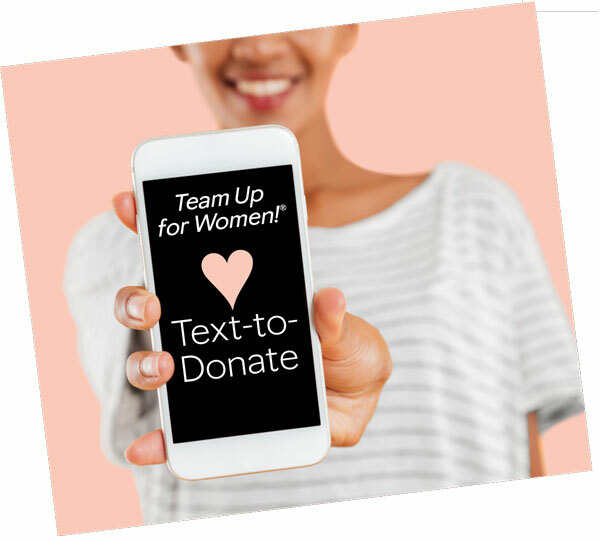 You’ll receive a text with a link to donate online with your credit card. Be sure to share this easy way to give with your friends and family! Host an event, raise funds and celebrate your success! Anyone can start their own fundraiser to benefit The Mary Kay Foundation℠. Visit the events page for resources and inspiration to hold your own fundraiser.